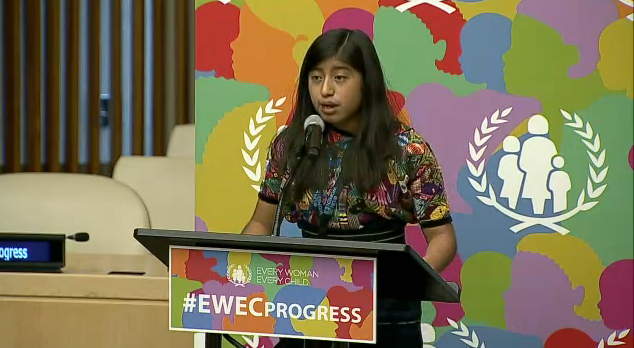 Meet 15 year old Guatemalan teen Emelin Cabrera. She may not look like some super famous celebrity, but this young woman is changing the world around her. She comes from a country where girls getting ahead in life and getting a decent education is somewhat rare. Guatemala is one of the poorest countries in Latin America, with nearly a quarter of the population being illiterate. According to the Global Education Fund, only 3 out of 10 children in the country graduate from 6th grade. In rural areas the statistic are even worse, but the consistency across the country is that girls are disproportionately affected. Of the 2 million children in Guatemala that do not attend school, the majority are indigenous girls living in rural areas. 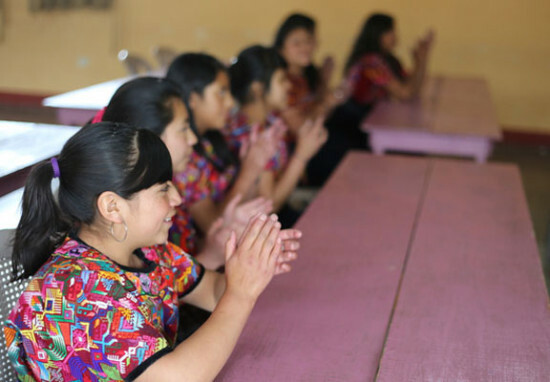 Most indigenous girls in Guatemala are Mayan and they are among the country’s most disadvantaged group with limited schooling, early marriage, frequent childbearing, and chronic poverty. A recent feature in the New York Times shed light on the child bride epidemic in Guatemala, and shared that the legal age to marry is 14. “In the villages of Guatemala, around 53 percent of women age 20 to 24 were married before age 18, and 13 percent before age 15, according to the Population Council. Many of these girls faced harsh consequences, similar to those of child brides in other developing nations. 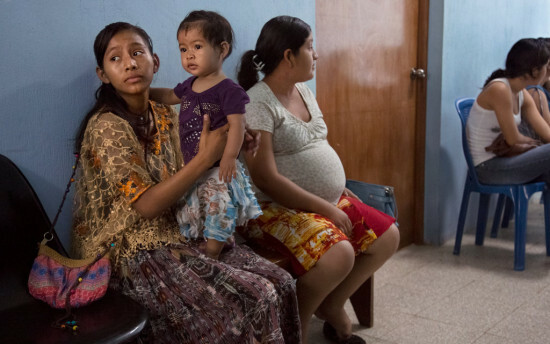 They had withdrawn from their educations, some as early as elementary school; were subject to physical and sexual violence; risked dangerous pregnancies and went without crucial medical care. Many aspects of their lives were controlled by older men who considered the girls little more than sexual and domestic servants,” wrote Stephanie Sinclair from NYT. But young Emelin is a rare young Guatemalan girl who wants to break the cycle of poverty and inequality amongst her generation. 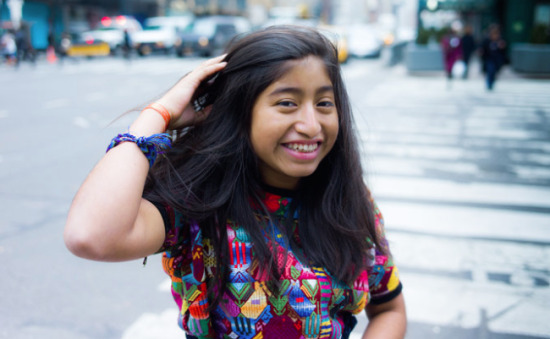 Ever since she was 13, she and her friend Elba Velasquez have been lobbying local politicians to find ways to get better access to education and healthcare for young girls. Their courage was met not with resistance, but laughter by their Mayor who told the girls they were “wasting their time”. During Women’s History Month, it was Emelin who would have the last laugh because she was invited to speak at the United Nations in New York during the “Every Woman Every Child” program presented as part of the Commission on the Status of Women. This badass young woman got to rub shoulders with and speak to the likes of Melinda Gates and UN Secretary General Ban-Ki Moon. She told them about what girls like her face in Guatemala and urged them to implement policies that would help change the status quo. Damn straight she is. NPR reports that Emelin is one of the aforementioned indigenous girls who live in one of the rural areas, where only roughly 14% of the girls finish high school and half have their first baby by the time they are 18. But thanks to the efforts of a non-profit organization called Let Girls Lead, which focuses on enabling girls to get an education, have access to healthcare and overcome poverty and violence, Emelin and Elba’s lives were steered in a different direction to those around them who essentially become statistics. Through workshops held by Let Girls Lead workers, the girls learned about self-esteem, human rights, and speaking in public. They were given the basic tools to become a powerful change in their community. It was through this program that the girls felt compelled to urge their Mayor to sign legislation that would see education and healthcare for girls being funded by the government in 2012. How did they do this? By appealing to his more human side. The trip to the UN was Emelin’s first outside the country, but we are pretty certain it won’t be her last. She has some pretty lofty ambitions, which would have again garnered many laughs from men in her country, but given all that she has achieved so far, it’d be safe to bet on Emelin’s future as a sure thing. In 2014 Emelin was featured in a docu-drama film called ‘PODER’ by Emmy Award-winning filmmaker Lisa Russell. Poder means “power”, and this type of empowering film was a departure for Lisa who regularly focuses her work on global health advocacy films portraying the stories of women and girls who are experiencing crises such as HIV or AIDS. Lisa shared in a blog post how shooting this film was an eye-opener to her and also enabled those in Emelin and Elba’s community how powerful sharing their stories can be. “The town residents started asking why we were making a film. The mothers started talking about what Elba and Emelin accomplished that was so worthy of a camera following them. The media came out to interview the girls. Recently, they had a special screening of the final film (translated in Spanish) in their town, where they were recognized for their work and their role in the film. The film gave them public recognition for the community work they did, which they so rightly deserved,” she wrote. She also added that if we really want to create change, we have to involve the voices of the next generation in every conversation. You can watch the trailer for ‘PODER’ below and find out more about screenings by going to the film’s website. Clearly the story of Emelin is making waves around the world. This is a girl who is refusing to view her circumstance as “normal” and wants to create a better life for the other girls in her community. She exhibits the same revolutionary spirit as that of Malala Yousafzai, and if this is the type of role models we are going to see in the next generation, we are already giddy with excitement.